Can you post a pic of it? The link isn't working for me. 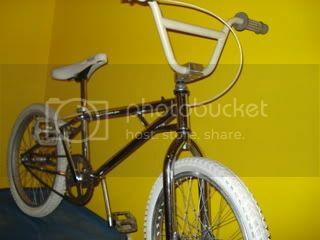 I am looking for an early to mid 1970's Webco frame. I had one as a kid ,sold it when I was 15. I have not been able to find one since. If anyone out there has one or any info I would like to hear from you. Thanks, Steve. Go to bmxmuseum.com someone will have one for sale or trade. someone please tell me how much to sell this thing for? i have a 79 gjs "a" frame. Have you sold your GJS yet? I am interested in purchasing. Anyway, I m not sure of the year. Its got PERFECT chrome and original stickers. Serial# is 345337 stamped on the back of the headtube.